If I haven't made it abundantly clear in many, many previous articles, I am a book person. Most of my closest friends, however, are music people who tend to scoff at my pedestrian taste in tunes (though if they can't see the genius of Phil Collins, that's their fault). One friend in particular, a lovely man named Ben, is a jazz musician and enthusiast who has spent far too much time trying to introduce me to his favorite style of music. Admittedly, I'm not always that receptive. Music isn't my "thing" the way it is for some people, so handing me a bunch of CDs and instructing me to listen to them isn't always going to work (sorry Ben!). You know what will probably work, though? Lending me books on the genre or artist instead. I might be able to avoid listening to a CD, but I can't let a book in my presence go unread for too long. So putting a book about the history of jazz in front of me is a much better way to introduce me to the genre. Below are 10 nonfiction books that detail jazz history, artists, and culture, all of which were approved by my jazz-buddy. They may even be enough to convince a music philistine like me to pick up some albums! The name says it all, really. If you're going to read about jazz, you might as well go all in and read a history of it. Be warned, though, if you're a jazz n00b this one might be a little tough to follow, as it does assume some preexisting knowledge of the subject. Arthur Taylor, a black musician, sits down with other musicians and talks about everything from the use of electronics in jazz to the role of black artists in white society. A great read for insights into the minds and music of jazz artists. Finally, some love for the ladies of jazz! The jazz scene may seem like a boy's club, but that's not necessarily the case. Freedom of Expression is made up of interviews with 37 female musicians making a living playing jazz in the 21st century. A newbie friendly, chronological introduction to jazz music and history that covers major artists and different styles of jazz over the last 100 or so years. You can also get an accompanying box set of CDs with it, which is cool. If you want to learn about jazz music, listen to the people who created and performed it. This book is a collection of interviews, letters, taped conversations, and newspaper and magazine articles revolving around the most famous names in the jazz scene. At a little over 700 pages, this tomb is for readers who are really interested in jazz. Written by a well-known jazz critic, this monster of a book examines pretty much every major player in the jazz scene, both past and present. Want a good, comprehensive look at the women who were part of the jazz scene? This book contains fourteen biographies of women like Billie Holiday and Ella Fitzgerald to give you a primer on female jazz performers. A lot of books cover the history of jazz or focus on the stars, but how exactly did jazz evolve into the music we know today? Myers looks at the historical events, technological advances, and social movements that impacted what we know as jazz. 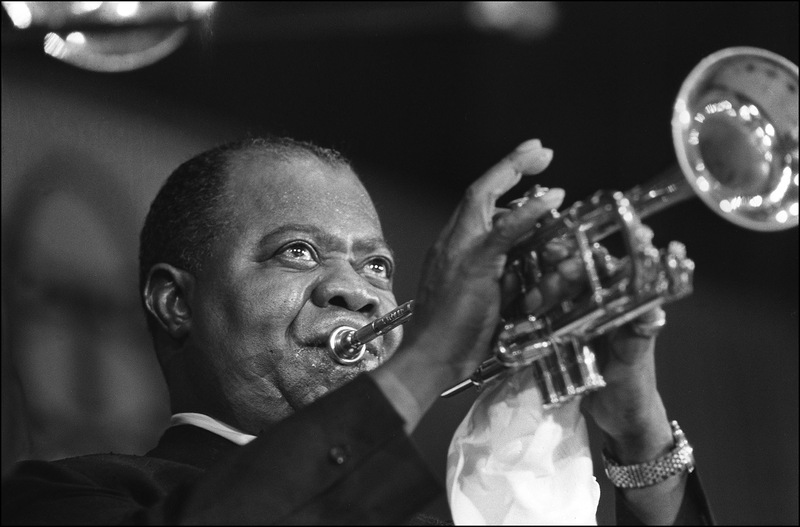 If you're interested in Louis Armstrong's early life, you might as well go straight to the source. Armstrong's autobiography ends when he leaves New Orleans in his early 20s for Chicago, but this a fun look at his early life from the man himself.